A selection of greeting words have also been added to the free patterns section. 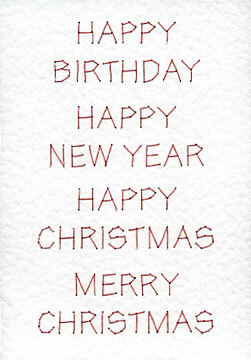 They are Happy Birthday, Happy New Year, Happy Christmas and Merry Christmas. These can be added to your greetings card where you require the words. 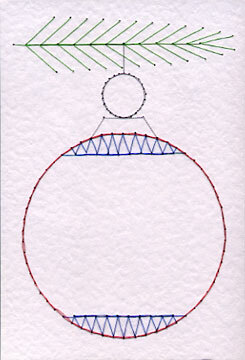 Prick out the words and stitch them using the supplied illustration as a guide.